A 66 Rye Harbour Man has become one of the latest statistics in the Christmas and New Year drink-drive crack-down after his car hit a fence. Scott, of Coastguard Square, Rye Harbour, was charged with drink-driving and released on bail to appear at Hastings Magistrates’ Court on 11 February. Also chargeg with drink driving is Matthew Jerrey, 39, of Goldhurst Green, Icklesham. Jerrey was arrested at 1.20am on 20 December after officers saw him driving erratically in Old London Road, Hastings. He was charged with drink-driving and driving without insurance. He was released on bail to appear at Hastings Magistrates Court on 11 February. 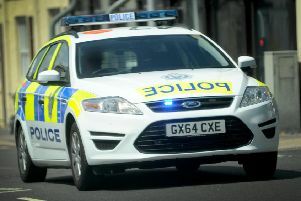 At the time of going to press A total of 77 motorists have so far been charged with offences after they were arrested this month in Sussex’s drink and drug-driving crackdown. For the first time, the December campaign is being run jointly by Sussex Police and Surrey Police alongside Sussex Safer Roads Partnership, Drive Smart in Surrey and the independent charity Crimestoppers. As part of Operation Dragonfly - roads policing unit officers are on dedicated patrols looking for offenders. The names of those charged are being proactively published. People in Sussex can text officers on 65999 with the details of people they suspect of drink or drug driving or visit www.operationcrackdown.co.uk.